Mulching has become a huge business – in fact, it’s hard to go a few blocks in any direction without running into a store where mulch can be purchase by the bag or the truckload. But what is the best mulch to use in your flowerbeds? And what about in the garden? Well, although there are many choices and products to choose from – we hope this article can shed some light on the basics of mulching around the home and garden. 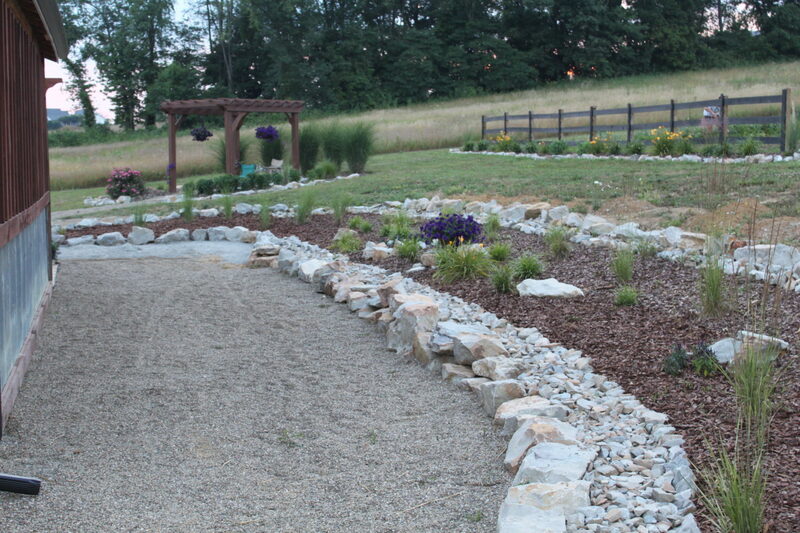 Whether in flower, landscaping or garden beds – mulch performs 3 basic duties. It is a soil insulator, a moisture retainer and a weed suppressor. It can also have a 4th and very powerful use depending on the type – and that is one of a soil enhancer. If the right mulch is chosen, over time it can add valuable organic material to your soil as it breaks down (much like compost will). Mulch is great in helping to regulate soil temperature. It can keep the hot summer sun from heating the soil too warm, and it can keep it warmer through cool nights. That constant temperature is a key in healthy and strong plant growth. That is an important point, because one of the most common mistakes people make is to mulch too early in the season. It is important in the early spring to let your soil warm up before mulching – if you don’t – laying down that layer of mulch can keep it from warming up even longer and hurt your plant’s growth. At minimum, allow a week of warmer temperatures to go by before laying down that mulch. One mulch we don’t recommend is cypress – it adds zero value to the soil and can create a matted mess! Shredded Wood based products are by far the most commonly available, and can range from finely shredded to large nugget chunks. Some of the best choices are the shredded hardwoods that add organic material to the soil as they break down. 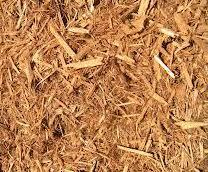 Remember that when you select a super-shredded or fine mulch – it will tend to disappear a little quicker. That is not necessarily a bad thing – as it adds nutrients to your soil quicker – although it may take more from your pocket-book as you need to apply it more often :). The one mulch we are not fans of are the cypress-based mulch products. For one, they add very little nutritional value to the soil as they break down – and they tend to mat into one big rug of tangled mess in the beds. That makes it hard for moisture and nutrients to get through as well. They take forever to break down – and in general, can cause more problems than they solve. 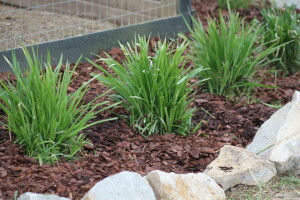 What about the synthetic mulches now appearing on the market? Well, beyond adding zero value to your soil, they tend to be made with rubber or plastic based materials – and for us – it’s a no-brainer to keep out of an organic landscape and garden. 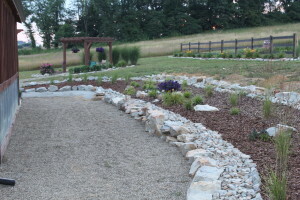 As for how much mulch to apply in the landscape – in general, a 2 to 3 inch layer of mulch is the perfect amount. Any less – and you begin to lose the soil moisture retaining and weed blocking properties that make it so important. Any more -and you can choke out your plant’s growth. 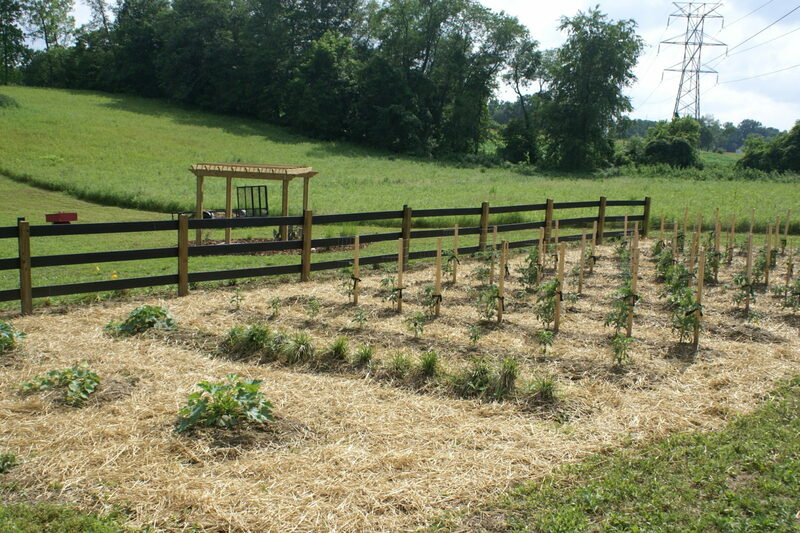 We get asked quite often about using bagged or bulk wood-based mulches in the garden. I have never been a fan of it for a couple of reasons. For one, they tend to take much longer to break down – and in the garden – we want materials that will decompose quickly and add organic matter to the beds. Secondly, most mulch manufactures apply fungicides and chemicals to their products to help prevent mildew, mold and termite damage – and I don’t like putting them anywhere near where we grow our food. 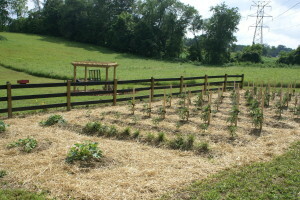 In the garden – we like to use 3 basic forms of organic mulch – straw, shredded leaves and compost. All 3 are terrific retainers of moisture, and the shredded leaves and compost can both be had for free. It is one of the reason we built our new leaf “corn-crib” storage bin – so that we could store tons of leaves each fall to use throughout the gardening season. We use straw in our walking rows to keep weeds to a minimum, and then use shredded leaves and compost right up around our plants. The compost / shredded leaf mix really helps to retain moisture, and it breaks down quickly, adding those valuable nutrients to the plants. For us – it is the perfect garden mulch. We put about a 1 to 2″ layer of finished compost about 6″ inches in diameter around the base of each plant. It really does wonders in helping our plants to need less watering, and keeping competing weeds out! ← How To Battle Frost On The Cheap – And The Farm Expands!